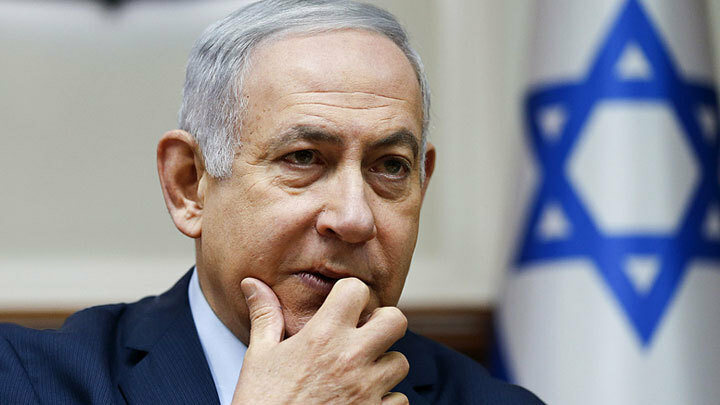 On the eve of the parliamentary elections scheduled for April 9, the party of the current Prime Minister Benjamin Netanyahu "Likud" is quite shaky positions. Corruption scandals have greatly impaired Netanyahu’s authority. The truce he declared with Hamas almost broke up the ruling coalition, from which the party of former Defense Minister Avigdor Lieberman “Our Home Israel” left. Additional pressure is exerted by the situation in Syria. After the deployment of the Russian S-300, Israeli pilots are afraid to rush into Syrian airspace to destroy the pro-Iranian militia there. Netanyahu’s fear of losing the election is also indicated by the fact that he is ready to give up three posts in the future government to the rest of the right in order to oppose the similar plans of his rival and the leader of the Israeli Sustainability Party, General Beni Ganz. Thus, “Bibi” makes his voters understand that not a single Israeli politician has such an influence on the American president as he. As a confirmation of this influence, a video appeared entitled “They said it was impossible.” It first demonstrates Netanyahu’s speech at a government meeting, where he talks about the need to move the US Embassy from Tel Aviv to Jerusalem. Then they show Trump announcing a historic decision to postpone the diplomatic mission. In addition, Netanyahu has adopted one of the election tactics of his favorite. He launches Likud TV, which will fight fake news and ridicule corruption scandals against him, similar to the Trump Tower Live broadcasts. Playing the Trump card has a chance of success. Because a billionaire uses more popularity than in Israel (69%) only in the Philippines. This result is justified by the fact that on May 14 the American president, in defiance of the EU, Russia and all Muslim countries, recognized Jerusalem as the capital of Israel. In addition, Trump withdrew from the “nuclear deal” with Iran, Netanyahu’s main enemy, and also supported Israeli rocket attacks on pro-Iranian militias in Syria. Recently, the US leader noted that 2,000 American soldiers would not leave the Arab country until the security of Israel was guaranteed, which was a relief for the already worried Binyamin Netanyahu. Trump's factor manifests itself not only in advertising, but also in specific political actions. According to David Friedman, the US ambassador to Israel, the White House will not announce a peace plan to resolve the Palestinian problem until April, but will do so after the elections. This plan involves the creation of a Palestinian state and the transfer of East Jerusalem to it. The right-wing parties, which Netanyahu is trying to win over, are categorically against such an initiative. If Trump announces a plan before the elections, Netanyahu will have to reject him, go against the White House to support the right-wing factions. But then he will not be able to play a Trump card called. If the US peace initiative is announced after the elections, Netanyahu will benefit. If the right refuses to join the coalition, the Israeli prime minister can easily replace them with centrists, that is, the aforementioned Ghantz and Yesh Atid leader Yair Lapid. They are willing to support the truce on the principle of "Two States". Netanyahu is currently leading in polls. However, a corruption scandal can take him by surprise at any moment. So Trump needs Netanyahu as air.